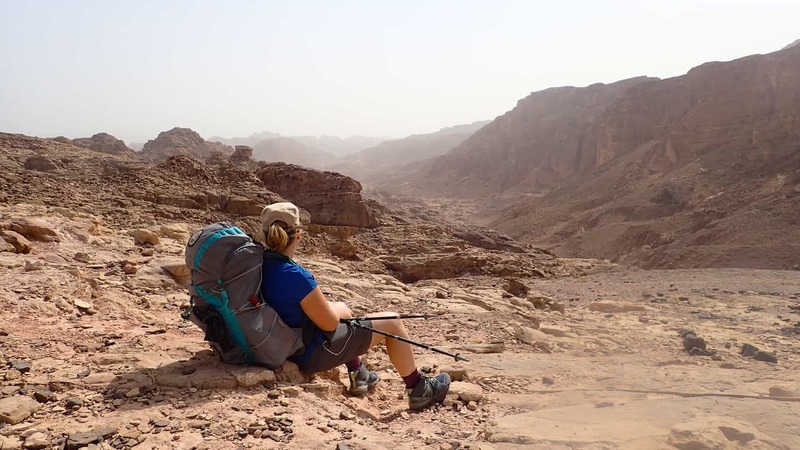 I recently returned from hiking the Jordan Trail from Dana to Wadi Rum (the south section). This was the most complicated part of the section so I hope this Jordan Trail guide will help answer some of the questions that I had before the hike. I wrote a summary of my expedition and also a day-by-day journal (start with day 1 here) which may also be of interest. How do you know how far to walk each day? The Jordan Trail website is your best friend! It has broken down information on all of the sections on the Jordan Trail. I printed off all this information to take with me so I had a rough plan of the route. 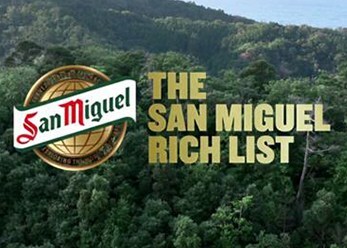 In the desert where water is sparse and you are reliant on water drops, you will need to plan your route carefully. I am experienced with long-distance hiking so personally found some of the days too short so doubled up on days where distances are short (15km or less). Most days I stuck to the schedule recommended on the Jordan Trail website. No! For a lot of the walk the trail isn’t easily defined and there are no signs or waymarks. There are no maps for the area so you will need to download the files (from the Jordan Trail website) onto a GPS unit. It takes some practice getting used to following a GPS. On some sections, there is no path at all and you are simply trailblazing. We also had parts where we lost the signal. We used a Garmin GPS InReach Explorer which worked great and also doubled as a Sat Phone. If you are looking for an easier trail to follow I can recommend the Israel National Trail and focusing on the Negev Desert section as an alternative. If you need any more convincing have a read of 25 photos that will make you want to hike the Israel National Trail! It is very varied. There was a lot of rocky sections (make sure you have good soles on your shoes!). There were ups and downs but no real huge climbs. As well as sections of long flat meandering through Wadi’s and (the worst!) sand. The last day into Wadi Rum follows a large (but not very busy) road for quite a few kilometres. For the section, we did I would definitely say North to South. The trail from Dana to Petra is world famous and really quite spectacular! This way was more favourable in terms of inclines but also has the advantage that you finish in Aqaba by the sea. What time of year should you hike the Jordan Trail? We started hiking on the 23rd March. Most days were hot (into the 30’s) but manageable. We were also lucky to have a few cooler days. The best time to hike is in spring or autumn although being post-winter, spring has the advantage that the vegetation is at its most lush. Where do you sleep each night on the Jordan Trail? The daily guides on the Jordan Trail website suggest possible sleeping options. 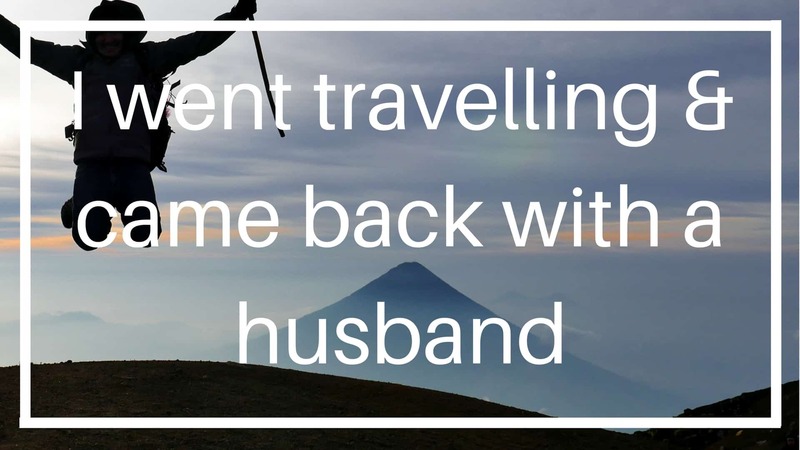 We took a tent and wild camped almost every night. You can wild camp almost anywhere except for in Dana reserve and Wadi Rum. Flash Flooding is a risk in some areas so it is good to use the suggested wild camp spots – they are usually flat and up high where flash flooding is less of a risk. We stayed in Dana Tower Hotel at the start which was a good place to stop and very cheap. We then took a rest day in Petra…there are lots of hotels available here. 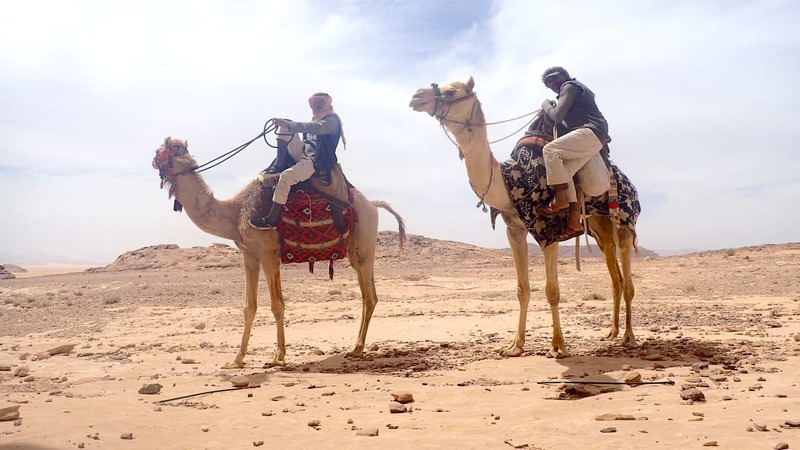 Near Humeima there is an option to stay with Abu and his family in a traditional Bedouin homestay. They are very welcoming and it’s a great experience that shouldn’t be missed. He didn’t set a price but said we could pay what we wanted or “nothing at all”, so you decide what it is worth. In Wadi Rum the Beyond Wadi Rum Camp is a brilliant place to spend a night. And to really splash out and celebrate at the end of your walk, look no further than Movenpick Resort! Is the Jordan Trail busy? We met only 2 other groups of hikers the entire time. One was a group hiking from Wadi Rum to Petra and another was a couple walking the whole Jordan Trail. There were a few guided day walkers near Petra otherwise the trail was very quiet. Most days we would meet just a couple of Bedouins out herding their goats or camels. Water was very sparse in the desert and even guaranteed natural sources were not in a good way (stagnant). We used a guide called Mohamad Al-Ahwat to help us with water drops each day but he was AWFUL!! Very unreliable and rude! He basically left us in the desert without water (taking our money in the process). These are he’s contact details….so you know to avoid him! Everyone we have spoken to used Habu (who is recommended on the Jordan Trail website) and only has positive feedback so please use him instead! What kit to take for the Jordan Trail? Check out my full kit list here. What if you get lost or get into trouble? The desert section of the Jordan Trail is quite remote in parts and you can go almost a full days walk on some sections without phone signal. It’s important that you are a competent walker and having first aid skills is really sensible. We had a Garmin GPS InReach Explorer with us. The Sat Phone capabilities on it meant we could send text and make calls if we got in trouble. If you find this blog helpful, do take a minute to follow me on Facebook, Twitter and Instagram. Is the Jordan Trail safe? When people ask this they are usually referring to locals or terrorist activities! We had no safety issues at all on the trail. We were 3 women hiking alone. The locals were for the most part very friendly and helpful…we certainly never felt in danger. The real dangers I think are in the remoteness of the hike. Some risks include..
Snakes and scorpions – we saw 1 snake and 1 scorpion on this trip. You just need to be careful to check your boots putting them on and putting down your tent. Dehydration/Heatstroke – you need to be very aware of your water supply and your body. Experience, taking it slow in the beginning and on hot days and being organised with your water drops and rescue plan is important. Flash flooding – You’ll want to be checking the weather forecast regularly for warnings of flash flooding. It happens fast so if you do get caught somewhere with water coming in, drop everything and get to a high place fast! Was it tough hiking in the heat? If you aren’t used to hiking in hot temperatures then you might find this quite a tough hike. You should account for this by having an easier start and slower days in the beginning so you can acclimatise. 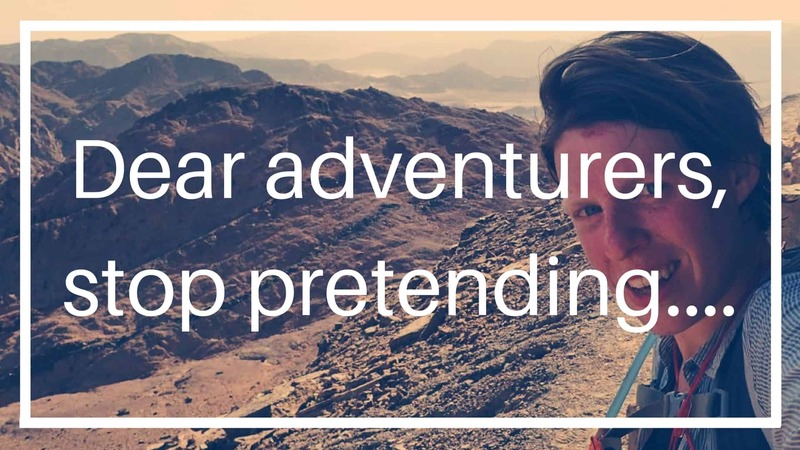 I’ve written my top tips for hiking in the desert which you might want to check out. How did I use a phone in Jordan? How do you charge your phone and electronics? I took an Anker Power Bank which was enough to keep my GPS and phone charged between the longest stretch without electricity (Petra to Wadi Rum). We also took a solar charger. I’m not a big fan of these as they really don’t work well when you are hiking (ie with them attached to your back) but it’s good to have as a backup. How do you get to the start and finish of the Jordan Trail? We started in Dana and ended in Wadi Rum. Then flew into Amman where we got a taxi to take us to Dana (roughly costing 70JOD). We then picked up a taxi in Wadi Rum to take us to Aqaba (costing 20JOD). Our flight home was from Aqaba. If you are using Habu for water support or booking to stay in a hotel, you can ask them to help you arrange taxis on arrival. What preparations do you need to do before the trip? You will want to be familiar with the kit you are intending to take and with the sections of the Trail (particularly for the desert section) so you can make a plan for water drops. Having a good base level of fitness is important and the fitter you are the more enjoyable you will find the hike. Getting used to carrying a heavy pack is probably the most useful training you can do. 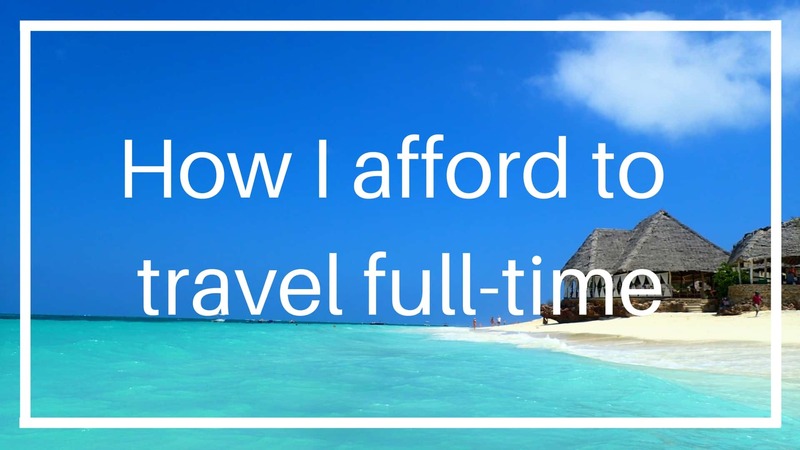 Other than that it was simply a case of booking our flights, making reservations at our hotels and getting comprehensive insurance. 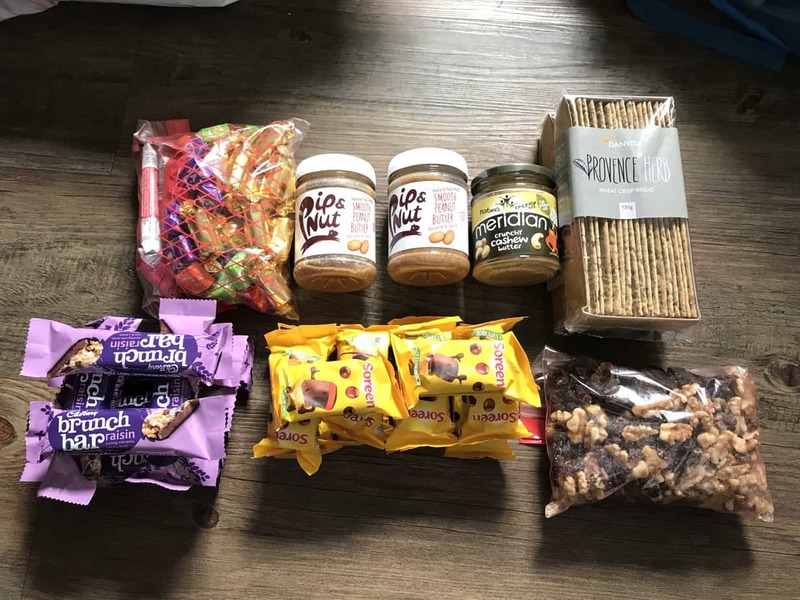 We took food with us (from the UK) for almost the entire hike and I’m very glad we did! The supermarket food options weren’t great and stock up options sparse. We had trail mix, peanut butter, crackers and expedition (add water) ration packs. We got our guide to take half our supplies to bring us at the halfway mark so we didn’t have to carry it the whole way. You can get food in Dana, Petra, Wadi Rum and Aqaba. There are lots of supermarkets in Petra to stock up. How much does it cost to hike the Jordan Trail? This was for a 16 day trip in Jordan. We did 11 days of hiking. Took a day in Dana, Petra and 2 days in Aqaba. Adding on more hiking days wouldn’t make it much more expensive as the bulk of our costs were the flights, water drops and Petra which was of course unmissable! You can check out my top tips for thru-hiking blog for more general advice on heading into an expedition like this. I’ve been getting a lot of people emailing asking questions about the Jordan Trail. If there is something you are wondering please ask in the comments box below so I don’t have to repeat myself (and please read through the previous questions first to check it hasn’t already been answered). Any women reading this? 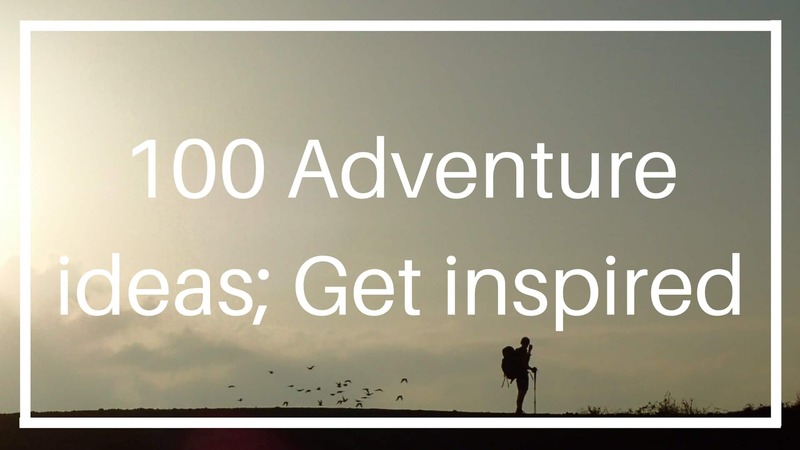 I set up Love Her WIld – a community to help women in adventure. You can join our private Facebook page which is a great place to find support and inspiration! Hi Bex! Thanks for your article about your jordan adventure, it is very enjoyable and informative. I was hoping I could ask you a few questions as i plan to hike the trail with a friend this march 2019. I was wondering about the amount of food you carried. Do I understand correctly you carried all for two weeks? were waterdrops necessary every day? Was navigating on the garmin easy enough, never made any (possibly) dangerous mistakes? do you know of any other contacts that hiked the entire trail? Would the locals appreciate us doing it without any support (apart from waterdroppings)? I’d love to hear your thoughts about this. Thanks so much, wishing you all the best! How much food did I carry? I took expedition rehydration packs for the entire trip. I split them in half and gave one set to our water drop guy who came and met us at a predetermined point on the map. This meant I didn’t have to carry the whole amount. I was able to stock up with snacks and lunch food in Petra, however, there wasn’t a huge amount available. So I was carrying up to a weeks worth of food at any one time. Were waterdrops necessary every day? Yes! Absolutely….you need to carry a lot of drinking water each day plus extra for cooking and a litre as backup just to be safe. Was navigating on the Garmin easy enough, never made any (possibly) dangerous mistakes? Navigating on GPS takes some practice as it isn’t 100% accurate. There were points also where we had no signal. Some sections it would be very easy to get lost or take the wrong path and end up in a dangerous situation where you could fall and hurt yourself or get seriously lost. I would only recommend this walk to hikers with some experience who know how to use a GPS. Do you know of any other contacts that hiked the entire trail? There’s a Facebook group for the Jordan Trail where you can meet other people who have hiked this route. Would the locals appreciate us doing it without any support? From what I understood they are happy for people to do this hike unsupported. They will of course try to convince you to use a guide as it is their business. Our biggest issue was being 3 women and having to challenge the fact that we would be ok on our own….they constantly wanted to babysit us as were convinced it was impossible for women to walk alone! thanks a lot Bex, that certainly helps! One more question. The official jordan trail group wants to get our passport copies to sent us an invitation letter we might need to explain people on the trail what we are doing there? Did you do this and need the letter? No problem! Hmmmm….they certainly weren’t suggesting that when we did the trail. We had no problems with immigration. They did tell us that we needed a guide for the trail and this was the law. When we checked with the Jordan Tourism board they said it was just a recommendation. They’re the people to check with if you aren’t sure! hi Tamar, we completed the trail in November and definitely recommend getting the invitation letter. It was useful on 3 occasions and without it there may have been delays. I’m going to be going probably solo in a month–which sections of this are doable solo, and which are a bad idea? My impression is that going from Petra to Wadi Rum solo is just really high risk since the area is so rural and the trail is so little-traveled. There are people that have hike the full trail solo. It is impossible for me to make a recommendation Sheridan on what you should do. Your ability to safely hike sections solo comes down to your knowledge, confidence and hiking experience. If you are unsure it is best to hire a guide. – the food was much better in Israel! – Israel was easier to organise logistically. There are more buses, the water support was much more reliable and everyone speaks good English. 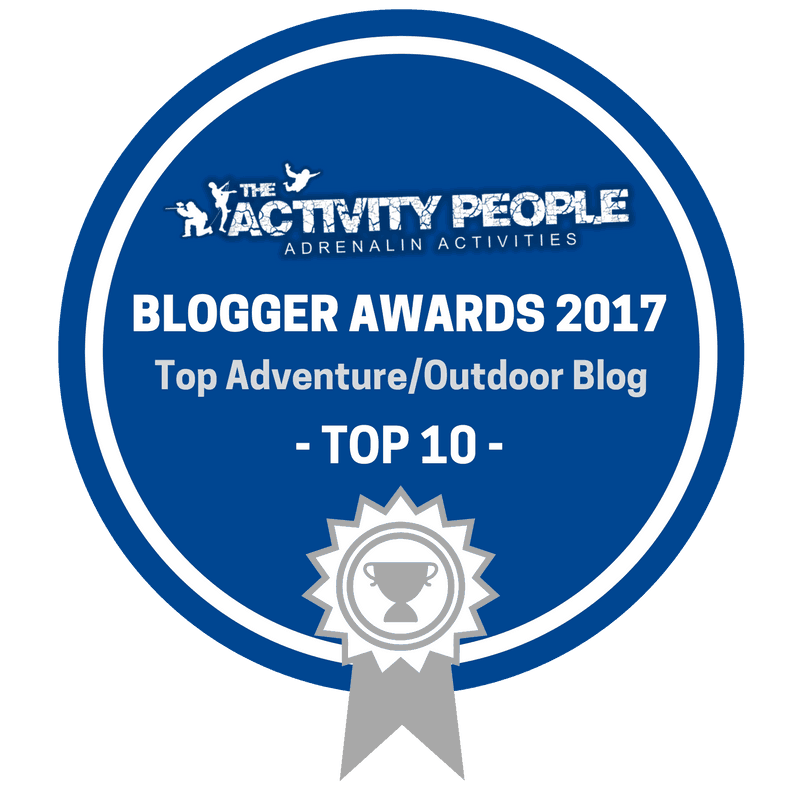 – We had a few problems in Jordan with guides ripping us off and being dishonest and not letting us pass sections. It was more of an ‘adventure’ but also really frustrating at times. – The views and landscapes in both countries are stunning!! Not sure if that helps?! Thank you so much Bex 🙂 sounds like we´re going to Israel! so you say the southern most part is the best 2 weeks bit?! Great! I think you are going to have a great time! I’d recommend looking to start in Arad and doing a 2-week hike heading south from there. 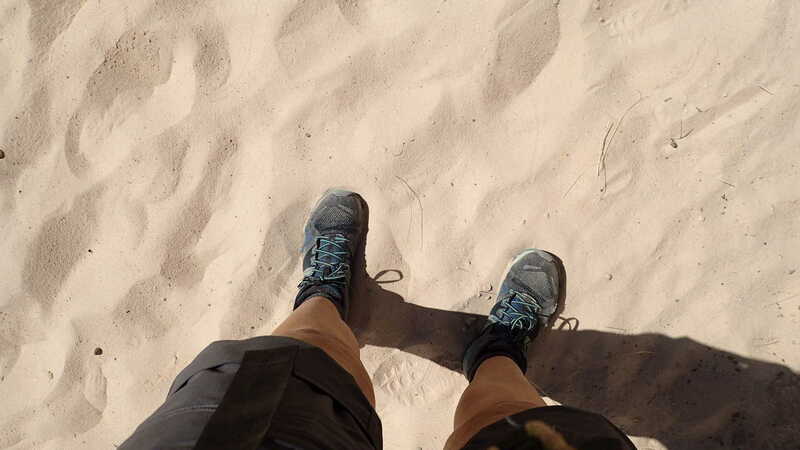 There are a couple of long hiking days in the desert but if you are an experienced walker who can carry your own bag for up to 25km days then you will be fine. Note that you are only able to camp in designated areas when you are in the desert reserve to protect the wildlife (these are marked on the maps)….most of them are nice camp spots but a couple are near to quarries so aren’t the nicest. 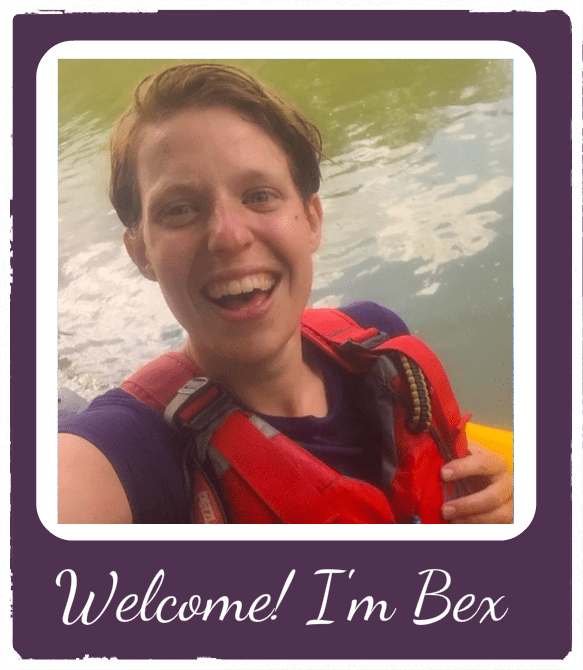 Hi Bex, thanks for taking the time to share your experiences with us! I’ve trawelled through the Trip Notes of various travel companies and the details you have provided here are by far the most insightful. 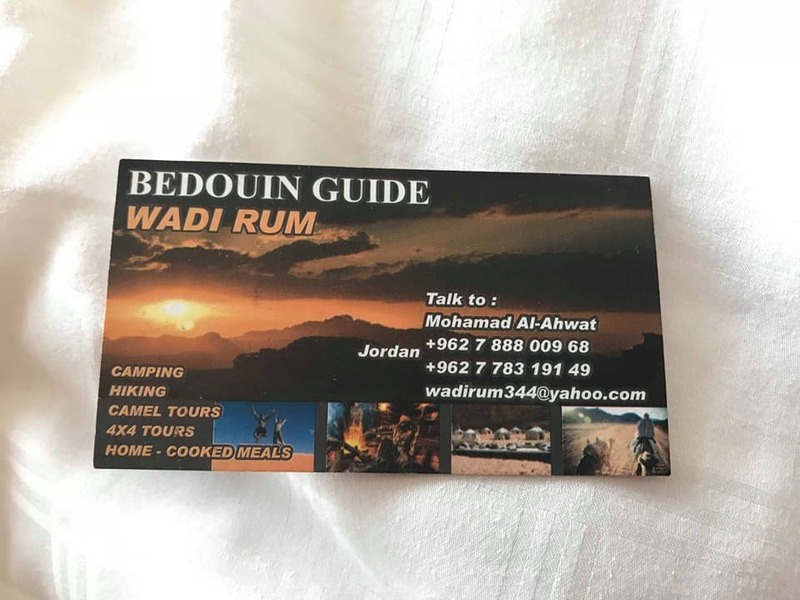 I’m thinking of trekking from Wadi Rum to Petra with some friends (various levels of experience) and haven’t made my mind up whether to use a company, and reduce the hassle factor, or try and do this independently. My main concern is food and water drops along the trail. How did you organise this? And, would you recommend anyone (definitely not Mohamad Al-Ahwat!)..? Thank you for your kind words….I’m happy to hear the information is helpful. It really is a fantastic stretch of hiking. I’d say it depends on what sort of feel you want to create. If you want that sense of being alone and being self-reliant then going independent can feel really adventurous (especially being an unmarked trail!). If you want to just take in the views without worrying about getting lost then use a guide. The best place to ask about the guide is in the Jordan Trail Facebook group. Ours was terrible so I couldn’t give a personal recommendation. Everyone else we spoke to though had a great experience and said the water drops were smooth. You can ask them to physically come meet you at each camp (rather than just hiding water) which would provide a bit of extra support….that way you could take all the food with you and ask them to bring it each time to save you carrying lots of supplies. Thanks for this feedback on your trip, nice ! I plan To do Dana>Perrault, i am alone, is the path so difficult or the difficulté is carry the bag…? Thanks for your answer ! All thé best ! We had quite a bit of attention as a group of 3 women but mostly because the Bedouin men felt the need to look after us because they didn’t feel we were capable. The trek is quite remote and the path easy to lose in places. I personally wouldn’t do it solo unless I had a lot of experience with the desert and using a GPS for navigation. I’m looking to hike during the end of April (around the 20th). When are you going? Super nice site and very helpful. I have yet to read all of it! I’ve found your website with the comments you posted on lonely planet. Thank you very much for your help. Small question: The way i understand it, if I hike from Dana to Petra, I don’t need a guide for the first day. I would definitely take one for the next two days. But what about the hike from little petra to petra? Do you think a guide is necessary for that part? Thanks – glad you found it helpful. 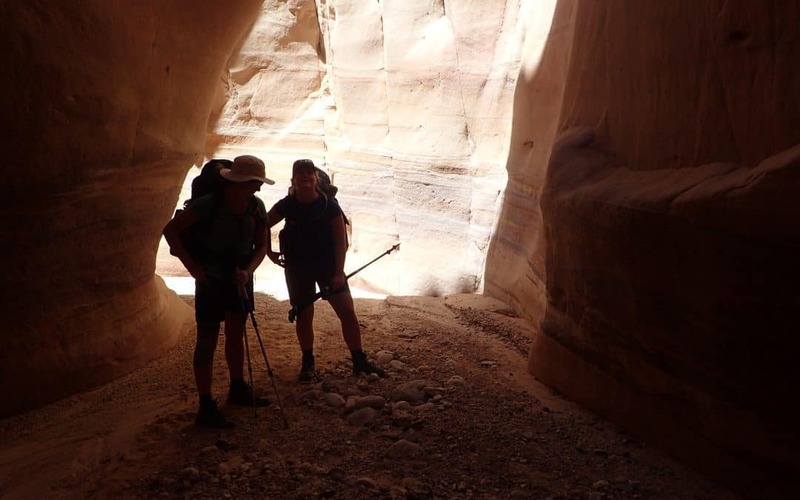 The first day on the Dana to Petra hike is easy to follow as you just head down into the valley. The hike from Little Petra to Petra is also very easy and well paved. There are stall sellers and tourists about on this section of the hike so if you are a confident hiker I don’t think you need a guide.